“Thou camest near the next, O warrior Thor! Inspired by the Viking and folk music played by renowned acts such as Wintersun, Ensiferum, Amon Amarth and Blind Guardian, and in special by Swedish multi-instrumentalist Tomas Börje Forsberg, the iconic Quorthon (1966 – 2004) from Black Metal institution Bathory, who’s also credited with creating the Viking Metal style, here comes Folk/Viking Metal one-man army (or one-warrior metal machine, as he prefers) North Hammer armed with his debut full-length album, Stormcaller, a 21st century continuation of the work of Norse bards who inspired the ancient poem above. Epicness takes over the atmosphere in the opening track Avatar, filling every empty space before Andrew begins his growling attack, also bringing heavy and traditional riffs while Doug keeps the music at a vibrant pace. In other words, this is a beyond solid “welcome card” by North Hammer, setting the tone for Wanderer, and let me tell you it can’t get any more Folk Metal than this, as our minds and souls are treated to a strong and vibrant tune where Doug takes care of the song’s inspiring pace while Andrew continues to impress with all instruments and his harsh vocals. And presenting an introspective, catchy intro, Written in the Stars evolves into modern-day Folk Metal with Melodic Death Metal nuances, with Andrew’s vocals getting more intense and enraged, effectively accompanying the heaviness and melody of the guitars. Magic Mead is one of those songs tailored for fans of the dancing heavy music by Ensiferum, showcasing more rhythmic, epic moments intertwined with sheer speed and progressiveness while its lyrics exhale Folk and Viking Metal (“Soilent earth sewn with blood / The enemy lays in the mud / A victory not to forget / And celebrate the worthy dead / In his eyes unrest subsides / For dreams of destiny he strides / Through the day and through the night / To behold this astral sight”); followed by an inspiring speech that ignites a feast of heavy and fast sounds titled Tip of the Spear, presenting the duo Andrew and Doug in perfect sync while they head together into the battlefield, with its classic guitar riffs and solos helping enhance its overall impact. Then it’s time to bang your head and raise your horns to all soldiers in the world to the flammable Folk Metal hymn A Soldier’s Song, led by the aggressive and potent growls by Andrew, keeping the album at a truly epic level. Black Forest Rain is a serene, introspective instrumental bridge, with the sound of the acoustic guitars guiding us to the world of Spellbinder, where a soulful guitar solo by Andrew kicks things off before all hell breaks loose in another blast of classic Viking Metal perfect for singing along with Andrew and for slamming into the pit. Then we have the song that carries the name of the band, North Hammer, an Epic Metal extravaganza with all elements we love in the genre such as powerful vocal lines, gripping guitars, pounding drums and poetic lyrics (“Crack through the ice / Swim through the depths / Pulsing through your veins / Forget all the rest / High into the Skies / Relic of Old / North Hammer”), resulting into one of the best moments of the album without a shadow of a doubt; and North Hammer’s final breath of fire and thunder comes in the form of a song named Lion’s Winter, a demolishing Folk Metal chant where Doug is bestial on drums while Andrew takes his growling to a deeper and more violent level, flowing smoothly until its melodic finale. 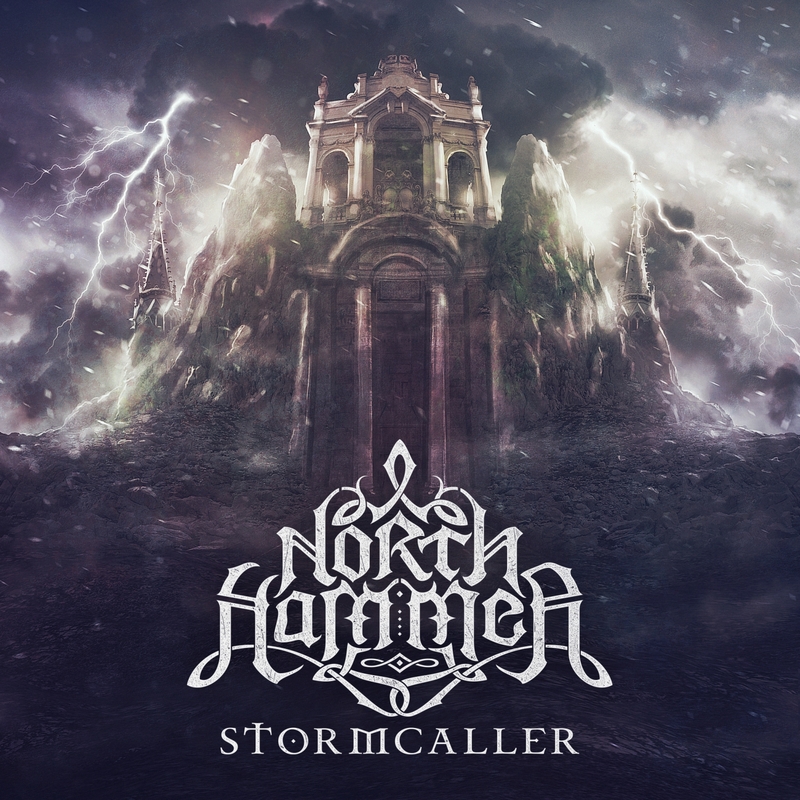 One thing I’m only going to mention now about Stormcaller (which is available for a full listen HERE) is that this is a concept album describing the trials of a hero in a Nordic fantasy setting. The album has been rearranged in order to place appeal to the broader audience, but the actual progression of the story line is Written in the Stars, A Soldier’s Song, Magic Mead, Black Forest Rain, Wanderer, North Hammer, Tip of the Spear, Avatar, Spellbinder, and Lion’s Winter, which means if you buy the album from the band’s own BandCamp page, from Amazon or from CD Baby, you’ll be able to rearrange the tracks yourself and follow the story as it’s supposed to be. In addition, while North Hammer is a studio project at the moment, Andrew plans to put together a band of top-notch like-minded musicians in a not-so-distant future, and if you want to show your support for such brave metal warrior go check what he’s up to on Facebook, on SoundCloud and on ReverbNation. And of course, don’t forget to praise the Norse Gods whenever you’re about to enter the battlefield, inspired by the music by North Hammer and by all renowned Viking and folk bands Andrew loves so much. Best moments of the album: Wanderer, Magic Mead and North Hammer. 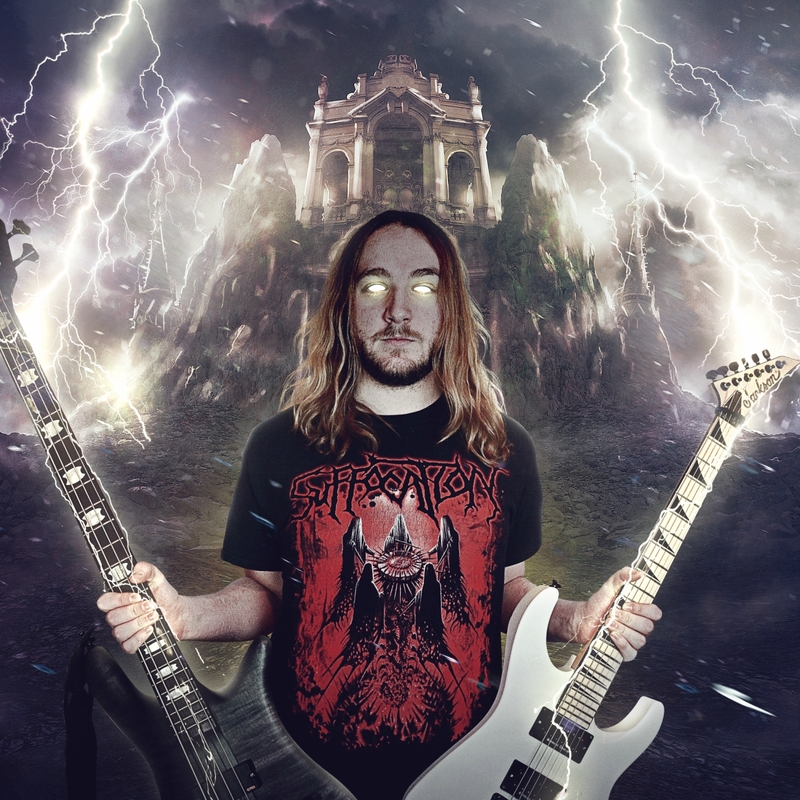 This entry was posted in 2018 New Releases and tagged alberta, andrew james, avatar, canada, doug helcaraxë nunez, edmonton, epic metal, erskine designs, folk metal, lion's winter, magic mead, mark erskine, melodic death metal, north hammer, stormcaller, tip of the spear, viking metal, wanderer, written in the stars by Gustavo Scuderi. Bookmark the permalink.